We sell good quality used books, as well as new books from Heritage Group Distribution and by local authors. 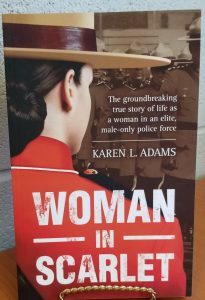 Adventure, Antiques & Collectables, Biography, Business, Canadiana, Children, Christian, Colouring Books, Craft Books, Fantasy, Fiction, Gardening, Health & Diet, Historical, Literature, Mystery, New Age, Non-Fiction, Paranormal, Religion, Romance, Self-help, Science Fiction, Text Books, Travel, True Crime, War, Westerns, Youth. There is something for everyone. Dragonfly Books is Victoria’s (Westshore) hidden gem where you will find a great selection of quality used books, local authors and best sellers. Browse through over 14,000 quality used books of all types. We also carry a few new books and local author books. If we can’t find what you are looking for we will add you to our request list and let you know when the book comes in! When ordering books from our web site payment must be made via bank e-transfer or in person as we only accept cash or Interact. If you wish to use a credit card to purchase books from us, please see the link below to take you to our inventory listed with AbeBooks.com. We now have local author Robert Battistuzzi’s new book Under a September Moon. Robert’s new book is the final story of the trilogy that started with The Boys from North Dakota and The Boys of ’63. The first two stories were a blend of fiction and fact about Randy, Gerry, Art and Robert in their teen years. Robert felt that carrying this relationship forward into their adult lives would be a good way to end the trilogy. Joanne’s son Chris came to visit and couldn’t resist a Garflield book! What’s It Like To Be A Building Inspector. Read About The Funny, Scary Or Just Plain Weird Things That Happen To Inspectors. So nice of Jack Knox to come into the store and sign a couple of his books for us. 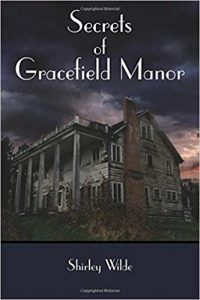 Secrets of Gracefield Manor by local author Shirley Wilde. An account of the history of the Grace House on Duke Road. 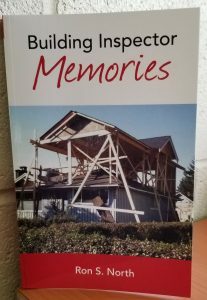 What is a Southern Plantation Colonial doing in a rural area just outside Victoria, BC in the Municipality of Metchosin? This house, and the original owners, have been a mystery to many people since it was built in 1942–43. Who were the people that built the house on 74.5 acres of sea view property? Were they really Americans from Chicago? What was their background (history)? Were they a wealthy family fleeing from Chicago, a city that had a long history of organized crime? Gracefield Manor has been a house of great interest since it was built. In later years it has been referred to as “The Haunted House” because of its rundown condition and the overgrown fields. The condition of this house sent a message that no one lived here but Mrs. Grace did. This old house has been restored by the current owner, who is the second owner, and who won an award from the Heritage Society for restoring the house and returning the land to a working farm. Gracefield Manor is listed as a Heritage House in the Municipality of Metchosin, BC. It is the private residence of the current owner. 2018-2019 Val-U Book – 2 for 1 Coupons & discounts $20.00, cash only.